Mechanics use car wiring diagrams, sometimes referred to as schematics, to show them how automotive manufacturers construct circuits. In fact, a typical service manual will contain dozens of these schematics that can help with proper diagnosis and repair. You can use this information in solving most electrical car problems you’ll come across. This video is good stuff and worth 6 minutes of your time. I also share with you a method I’ve been using for 30 years. It’s fast, efficient and often locates the problem on the first step. Although the video views continue to climb we still got a few thumbs down. You can’t please everybody on the internet. However I tried to supply unique and helpful information. One guy was upset, because I mentioned using a test light instead of a meter. There’s no question that a meter is more accurate and better for diagnosis, but I still own and use a test light for quick checks. First, not everybody has a meter at home. Second, the bigger point that was missed is the routine of doing what’s comfortable. Now lets get back to the diagram issues. Before we begin please let me tell you what a wiring diagram won’t do. Automotive wire diagrams don’t show the actual position of parts or the physical appearance of the components. Standard wire schematics don’t reveal the length of conductor wire that runs between the particular components shown. A short line on the diagram doesn’t mean a short length of wire on the car. There are electrical symbols posted on the schematic that will indicate the color of the wire, its thickness or size and other important details about that particular circuit such as connector locations. Identifying the color of the wire is important for accurate diagnosis. If you test the wrong wire you will go down the wrong branch of the tree chart. The standard labeling system will use the first letter to indicate the base color, and the second letter to indicate the stripe color. An example would be the letters OB. This represents an orange colored wire with a black tracer stripe. RB is red with a black tracer. Wire repair diagrams can become quite complex. To avoid this, most troubleshooting manuals will illustrate only one distinct system or circuit at a time. A horn circuit or turn signal circuit each have a separate distinct electrical schematic. Keep in mind that electrical symbols are not always standardized throughout the automotive industry. Different manufacturers may have different methods of representing certain components particularly the less common ones. Always refer to the symbol reference charts on the wire schematics. However, some car makers list these in the beginning of the electrical section in many professional manuals. In this video I share the method my electrical instructor taught me. He was an evil genius and his brain flowed like electrons. Most auto mechanics have learned a different method. I think, what is more important is to use a standard procedure and follow it religiously for each electric diagnosis. Sticking to a routine helps you find problems faster. Do it Yourself Online Automotive Repair Information Click Here. Bookmark this resource page or share with a friend. Then come back and watch the video again. Find 3 more instructional videos about how to use online auto service manuals to fix cars right the first time. 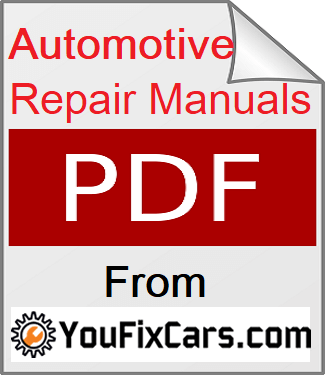 This next link takes you to my page about online factory auto repair guides. Do you require one on one help with your particular electrical problems? On this website automobile repair help is always available for you. Testing individual electronic components is not only a valuable skill, but a big part of fixing electrical problems on cars. In my college training classes we sat down with bread boards and learned how to diagnose and repair individual components. The video has the same goals. You learn about the tools and the proper equipment required for automotive electrical tasks, but more importantly how to decipher the test results. In addition It includes how to check voltage, resistance, amperage and good stuff about Ohm’s Law. In my opinion it is a clear and concise video with enough attention to detail so the enthusiast understands what this stuff means to the efficient repair of automotive electrical circuits. Yes, it’s a little weak on the animations and voice over, but If you have an interest in electronics you’ll like it. Both beginners and seasoned professionals looking to sharpen some skills I think you’ll benefit from watching it. 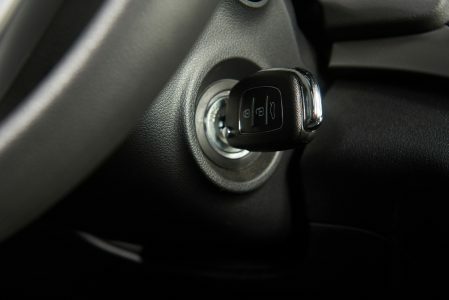 Find out what else is available on this auto repair website on the Homepage for YouFixCars.com. You can also learn more about the car mechanic that created this information portal.